Hello, my name is Elizabeth and I'm a salad-bar-aholic. There, I said it. BUT without onion, cucumber, celery, or egg." 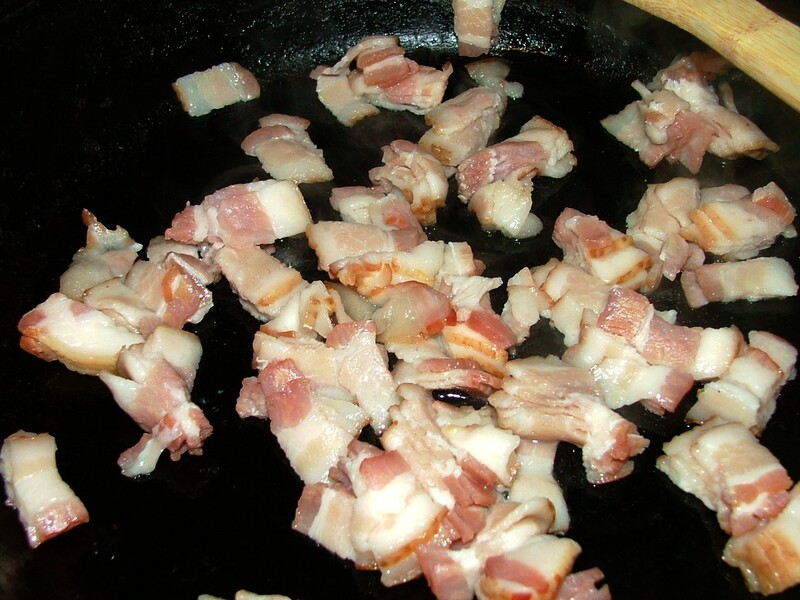 And, so many times I've asked (logically) "since I don't want onion, cucumber, celery, or egg, could you put on some bacon bits or olives or something instead?" Of course not. That would mean we're interested in making our customer happy, and we really couldn't care less about that. With a salad bar, I avoid all of this awkwardness and annoyance. I can build that salad with whatever I want and no one can tell me not to! The problem is finding any place with a salad bar anymore. I mean, it's even hard to find a crummy salad bar. So, when you come across a good one, you want to stick with it! Of course, there's a lot more to Jason's than just the salad bar. First, throughout their menu, they feature organic, healthful ingredients, vegetarian dishes and a lot of gluten-free. I'm also a big fan of soup and I can't even begin to remember all the soups they had available the other day. I remember vegetarian vegetable, organic tomato basil, and broccoli cheese. My mom had the manager's special which was a cup of soup and half of a "pastrami meltdown." This was beautiful pink pastrami piled on fresh bread with caramelized onion and melted cheese. She chose the broccoli soup and said both were very tasty. You can see Jason's menu here. And the "icing on the cake" is the NON-high fructose corn syrup soft serve ice cream which is gratis with your meal. What a sweet little touch, huh? This place serves really fresh, good tasting food and offers choices to satisfy everyone, including kids. 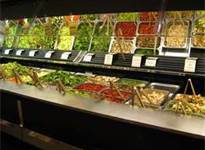 Of course, for me, it's the bomb-diggity salad bar of salad bars! If you haven't checked it out, do yourself a favor. It's right on Gervais in the heart of the Vista...you can't miss it. Despite how much of a traditional Southerner I tend to be, there are times that changes and new things have their place. For instance, this year is the first that Neil, Vivi and I had Thanksgiving all to ourselves. Yep...Neil's dad and significant other were in Charleston and my parents went to Florida with my sister and her husband to visit his family. So, the three of us were left here in Columbia...left to our own devices. Several years ago, Neil was proclaimed the official turkey king of the family. He brines it overnight then roasts it slowly. 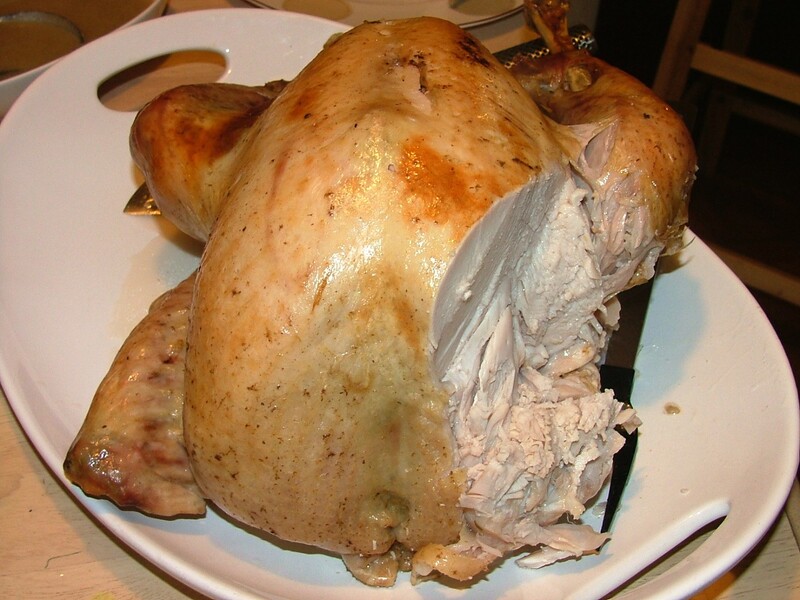 The result is a ridiculously tender & juicy turkey that tastes fantastic. Frankly, until I tasted a turkey by Neil, I didn't like it. I'd eat it because that's what you do at Thanksgiving and Christmas, but it was never a favorite and certainly not something I would have requested. But all that changed when I tried his. 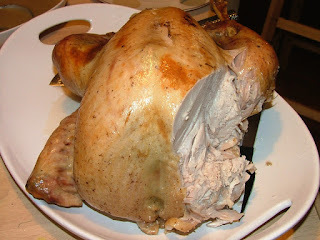 So, as traditions go, Neil's brined turkey is simply what we do around here. But, since it was just the three of us this year, I decided to change things up a bit. You see, it's not always easy to sneak a new dish in on a holiday because the rest of the family looks at you incredulously and asks something like "What is this?" 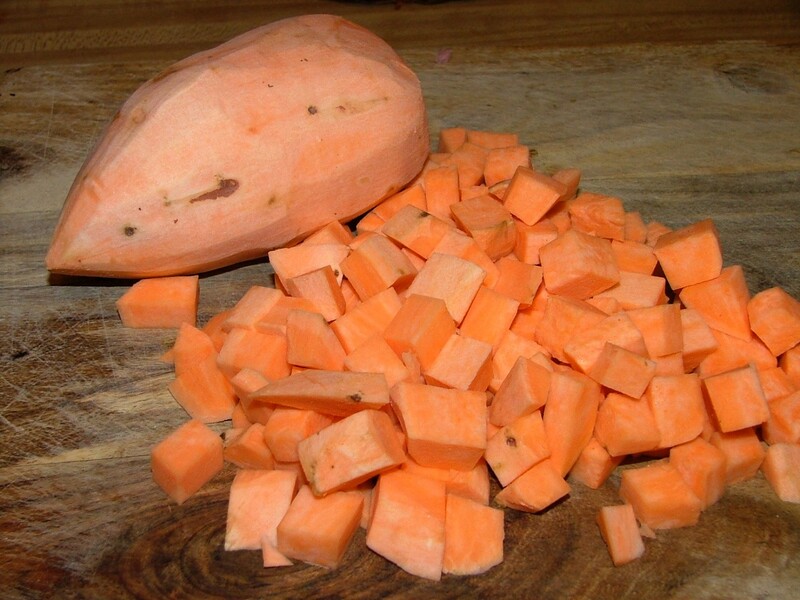 even though it's freakin' obvious that it is still, in fact, a sweet potato. In 1988, I was living with a French family for a semester. My family called me and they all passed the phone around to say hello to me. Well, as two members of the family informed me, my mom made the sweet potatoes that year, instead of Aunt Jennie. They were not pleased. Not one damn bit. My Uncle Tommy actually sounded pissed off about it. So, as you can see, this was my golden opportunity to try out some new twists on our Thanksgiving meal. First, you simply must have dressing. I cheated a bit by buying the ol' Pepperidge Farm dressing in the blue bag. After all, this is what my mom has always used. 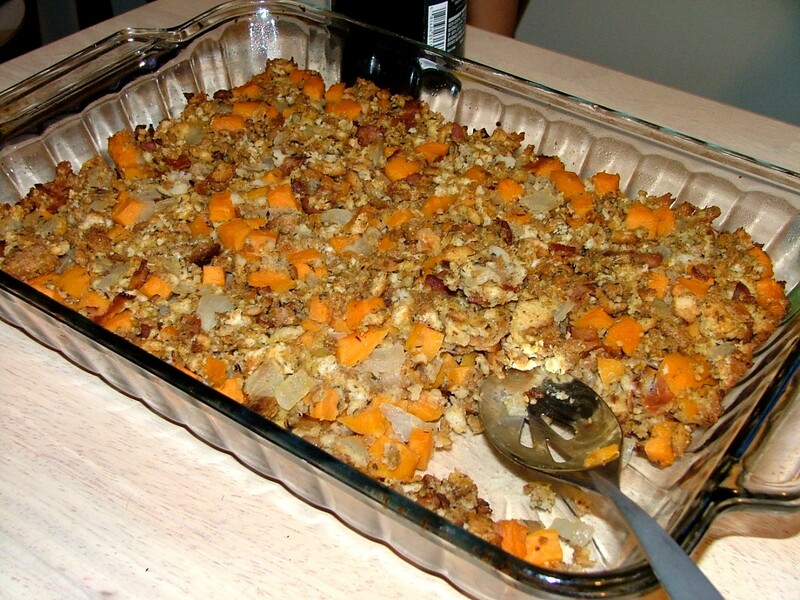 (Tradition) But, I took a few recipes as inspiration and jazzed it up by using sweet potatoes, onion, thyme, bacon and a touch of O.J. Next, you have to have green vegetables. Viv loves green beans, so I just steamed those. 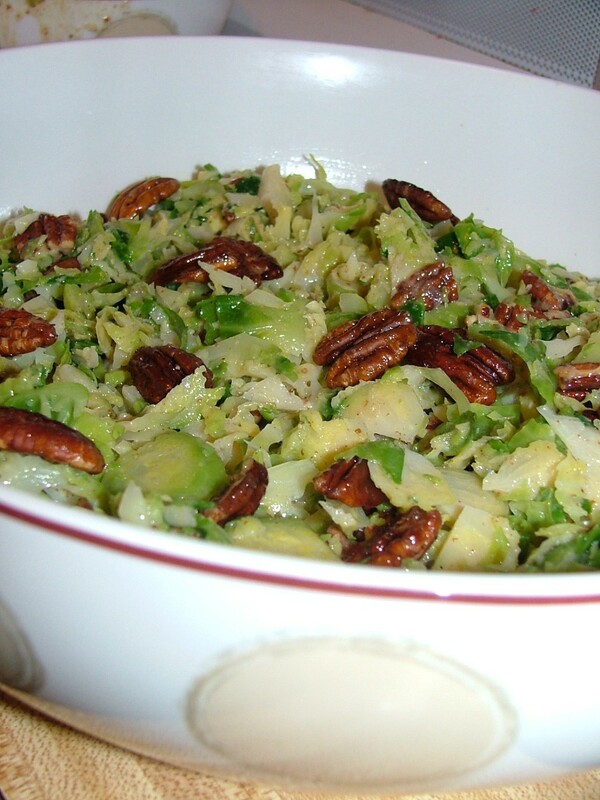 Then, I added my piece de resistance...Brussels sprouts slaw. I got this from www.BonAppetit.com. I will say again to those of you who turn your noses up at the sprout, open the mind and try this one out. I am waiting to be hungry again so I can have a plate of this stuff! Shredded Brussels tossed with a lemon/Dijon dressing and maple glazed pecans. 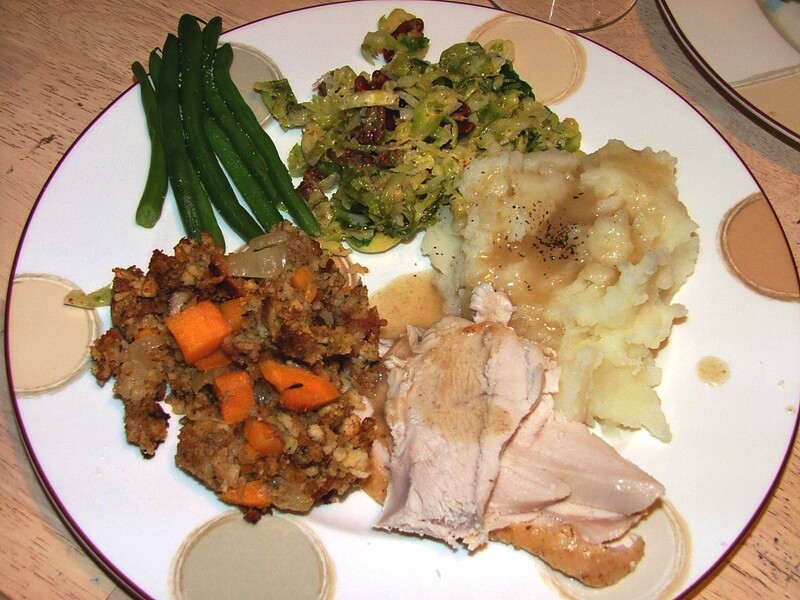 To round out our meal, we made mashed potatoes (I've said it before & will again...if you don't own a ricer, go out tomorrow and get a Black Friday deal on one) to go with Neil's gravy and rockstar turkey. Traditions are important to me and pretty much everyone else in this Southern corner of the world. Long live the traditions! But, don't be afraid to introduce some new characters to the show once in awhile. There's nothing like my Aunt Jennie's sweet potatoes, Neil's turkey and a nice, gooey green bean casserole, to be sure. However, Brussels sprout slaw and weird dressing can shake things up (in a good way) from time to time. Happy Thanksgiving everyone! When this place first opened, Neil and I checked it out. We enjoyed it, but I remember thinking that it wasn't exactly my favorite. Anyway, we got busy with having a baby and all that that entails and our dining out schedule was drastically altered. I've been back to Cantina 76 a few times with friends for drinks and a snack, but not for a proper meal. Yesterday, my daughter and I decided we should eat lunch out. 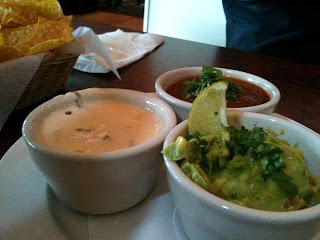 Since the Vivver has recently became a queso fanatic, I thought, hmmm let's try out the Cantina again. It's a local joint, it's close to home, they have queso. Off we went. First, the server informed us that margaritas for two for one, so naturally, we couldn't pass up a deal like that. Neil ordered his on the rocks, no salt. This is important to remember. 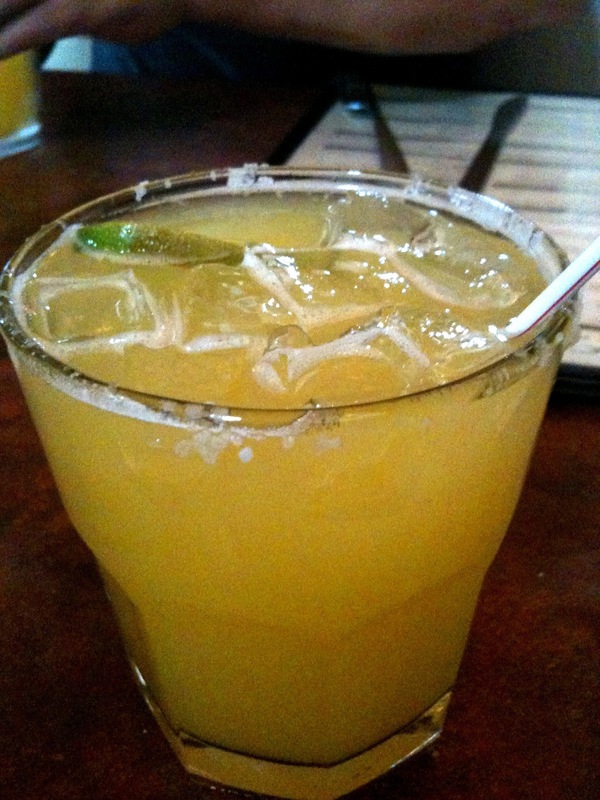 He hates salt on, in, or near his margarita. Next, we ordered chips with salsa, guacamole and queso. Let's start here. First, the margaritas arrived and after our server left the table, I realized Neil was muttering under his breath. Yep. you guessed it. Salt on the rim of his glass. Now, the appetizers were a different story. The salsa tasted very fresh; light bright fresh tomato flavor. It had all the usual players: onion, cilantro, garlic and it was nice and spicy too. The guacamole really surprised me because I've come to expect restaurant guac to disappoint me because I think my homemade guac is beyond compare. This was pretty darn good for restaurant guacamole, however. It was seasoned well and had nice, big chunks of buttery avocado in it! The queso was also quite good...when I could manage to slide a chip in there, as the little queso afficianada was dominating the bowl. The chips were a little thick for my taste and seemed as though they'd been made yesterday, but not inedible by any means. Mine were both very good but I think I liked the shrimp the best. The shrimp were crisp with a light batter and the flavors of the chili sauce were very nice together. 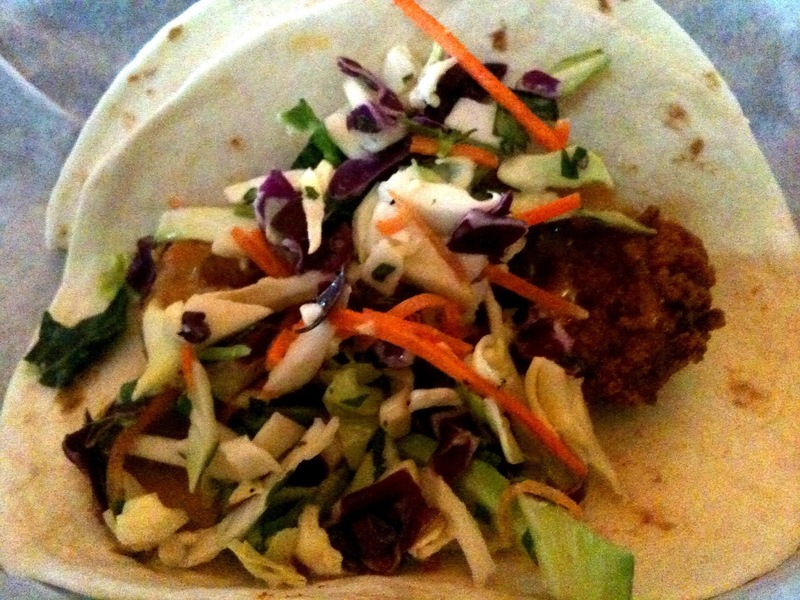 I didn't pick up any jalapeno at all, but the slaw was still flavorful and worked well with the sauce. I also enjoyed the chicken but I added a touch of salt and some Cholula hot sauce. I felt like it just needed a little extra punch of something. And, serving the roasted chicken at a hotter temp would have improved it as well. 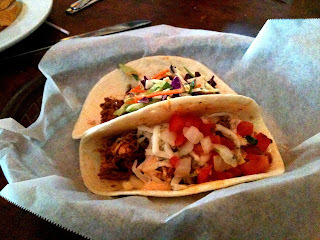 Overall, we enjoyed our meal at Cantina 76. I see some small adjustments in their menu items I'd make if I owned the place, but no major overhauls are needed here. 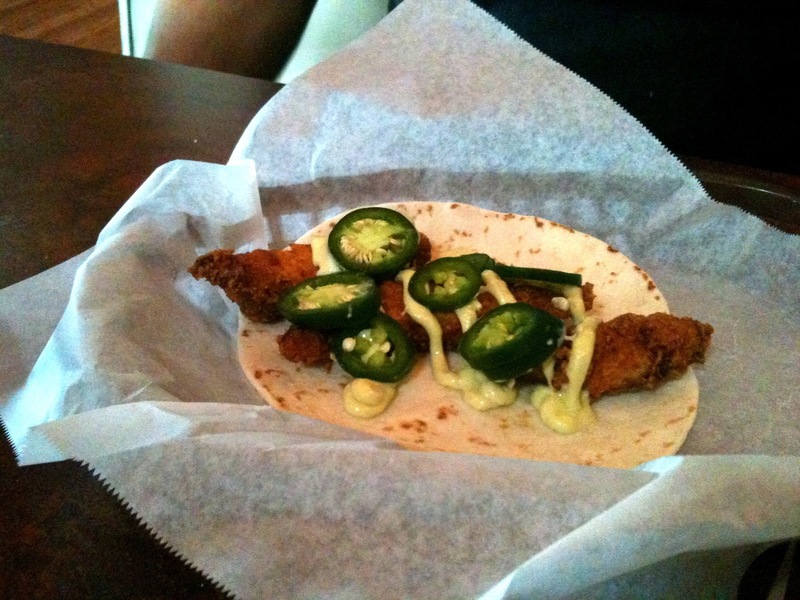 The cool thing about this restaurant is their creative taco offerings. 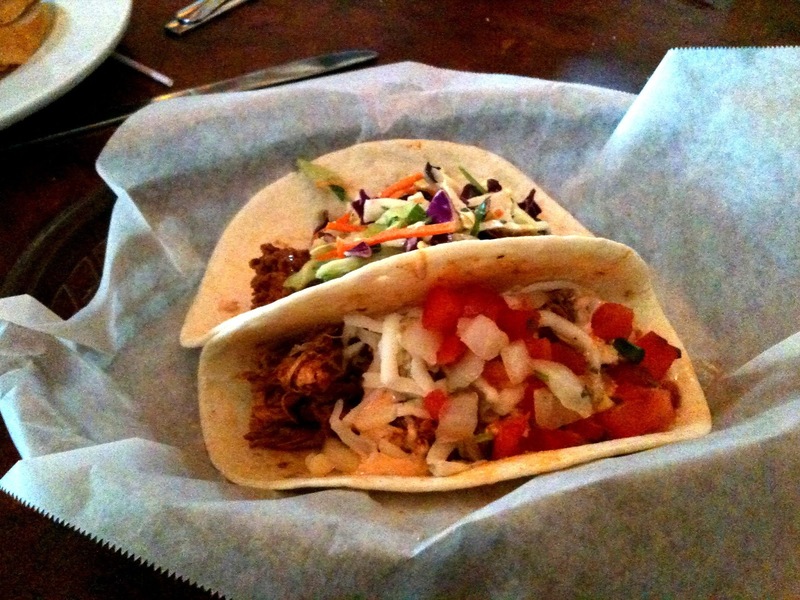 They remind me of the Taco Boy at Folly Beach in regard to the different and interesting tacos that are featured. 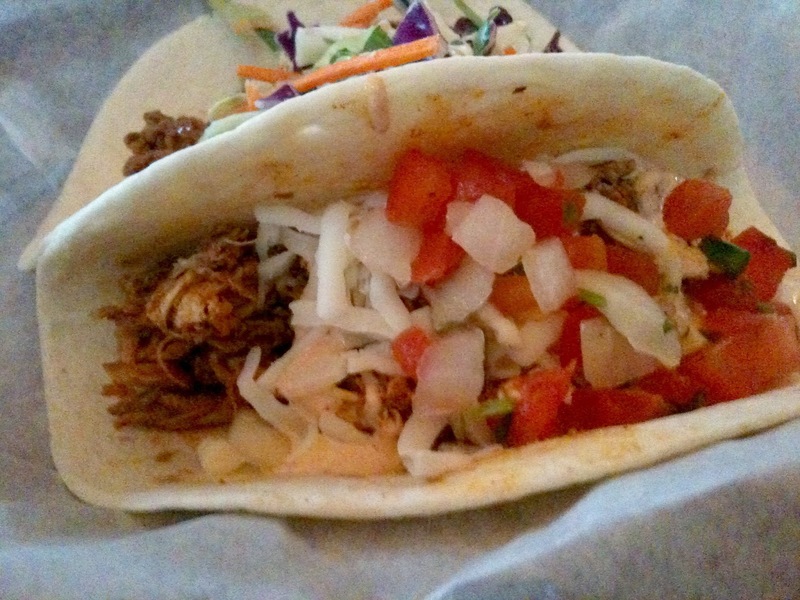 Not many other places in Columbia are thinking outside of the taco/burrito box! Marco's Pizza opened in recent months just down the street from my house. I really didn't pay much attention to it because it just appeared to be another pizza chain. But, I'll tell you what made me decide to try it out. I know a young guy who moved here from Michigan. One afternoon he mentioned to me that he was picking up pizza from Marco's for dinner, but he lives across the river, which means he was actually making a trip for this pizza. Hmmm...why would he do that? What does he know that I don't? So, I quizzed him. He knew this franchise from back home and even worked there during school. He loves this pizza so much, that it's worth driving from Cayce all the way over to Rosewood. Yes, my curiosity was indeed kindled. Today was finally the day to give it a shot. "hey Viv, you know something? Salami is pepperoni's cousin." "So, this means you want pepperoni on your pizza like the old days?" Woo Hoo! My baby is back! Tonight, we're just the two of us, so we decided to get pizza. What better time to try out Marco's? I showed Viv the website and the photo of the "Pepperoni Magnifico." She was down with it. We ordered ours with the garlic crust (recommended by my buddy Patrick) and the antipasto salad. I opted to order online, which gave me a pick-up time of 25 minutes. Not bad at all! Delivery around here always takes longer than that, and since the place is about a minute and a half down the street, picking it up was certainly no bother. The verdict? I liked this pizza, but at this point can't proclaim it my favorite. I mean, it was just pepperoni. I like a little more action on my pizza, so I definitely want to try some of the other specialty pizzas, or design my own. They have a cool ingredient list, so it could get fun. The other thing that I like is you get LOTS of choices...the website asked me if we wanted garlic crust, parmesan crust, extra sauce, light sauce, heavy cheese, no cheese, extra this, extra that, split in halves? I ordered the antipasto salad which was pretty good too. It was topped with ham, salami, black olives, tomatoes and mozzarella. I didn't order dressing since I have lots of great ones here at home. Overall, I'd say that I am glad to have another pizza choice so close to home. After all, variety is key in my life.